Starting seeds in an eggshell doesn’t have to be another Pinterest pin and forget it. It’s an easy and very practical method of starting seeds for us chicken keepers. You probably already have everything you need on hand. Why would I want to use eggshells to start my seeds? 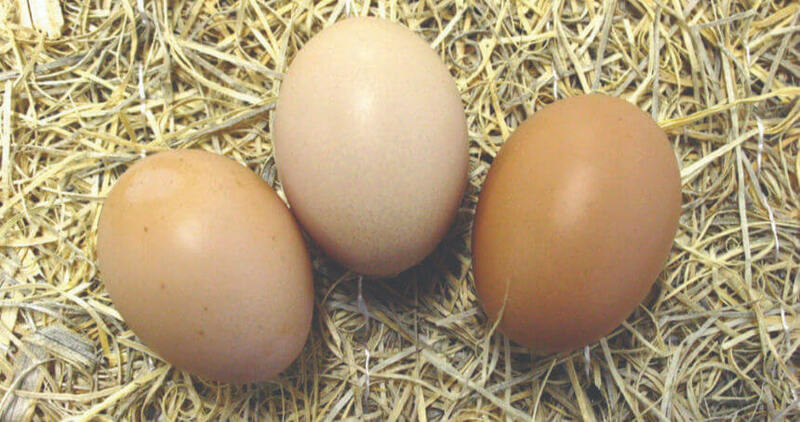 Compostable – eggshells are completely compostable and will break down in the soil and feed your plants. Fertilizer – as the eggshells breakdown in your soil, they are providing your plants with a usable and natural source of calcium. No fertilizer needed! Easy – No transplanting necessary. You don’t have to remove your starts from this starting pot, simply plant the shell into a bigger container, or into the ground if the weather is right. Green/thrifty – Nothing extra to buy from the store and no packaging waste for the landfill. 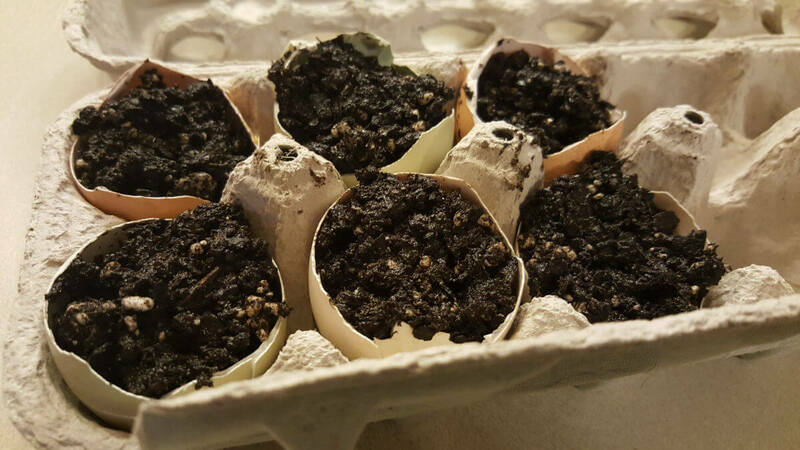 What type of plants are good to start in eggshells? Egg carton as a tray to hold your eggshells – if you have a clear plastic egg carton, this can double as a mini greenhouse. I saved back eggshells from breakfast a couple of days in a row, cracked, rinsed, and laid out on a piece of newspaper to dry. Next, if you are putting in drain holes, I would recommend doing that now before adding soil. Use your exacto knife like a “drill,” carefully rotating the blade tip around in the same spot to make the holes. This works best with a brand new blade. Estimate amount of soil needed and mix with water to moisten. Don’t make it soggy. Spoon the dirt into eggshells. Plant seeds. Don’t put them in too deep, just below the soil and carefully cover up. Put them in a sunny window. Don’t let the top dry out – mist every couple of days. Once your plants sprout, transfer them shell and all into a larger pot. 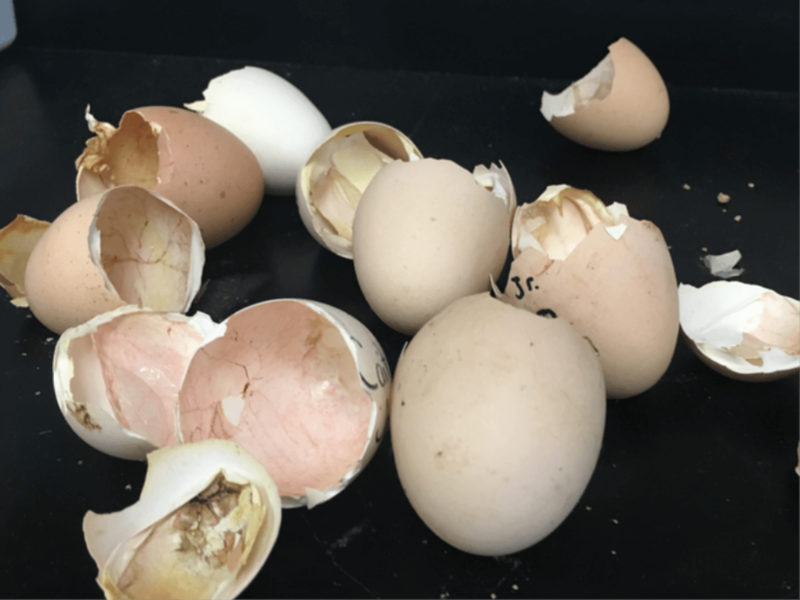 The eggshell will decompose and feed the plants. 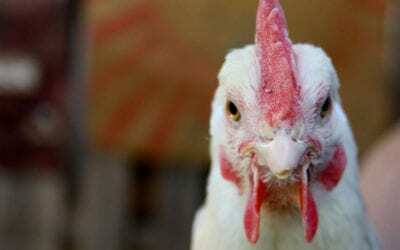 The Delaware chicken breed has a rich history that begins in the early 1940’s in Ocean View, Delaware. 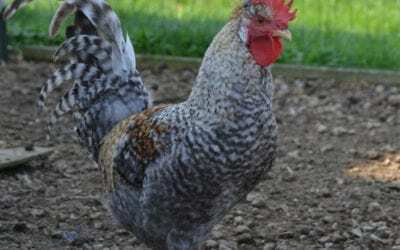 The breed is credited to Mr. George Ellis who bred Barred Plymouth Rock males to New Hampshire Red females in a quest to breed a fast-growing, sturdy meat bird for America’s growing appetite for chicken. This cross produced a silver “sport”, and Ellis bred this small group of silvery offspring to each other to produce the Delaware pattern that we see today. The Delaware still holds honor as a good layer that also carries enough meat to be useful as a table bird. 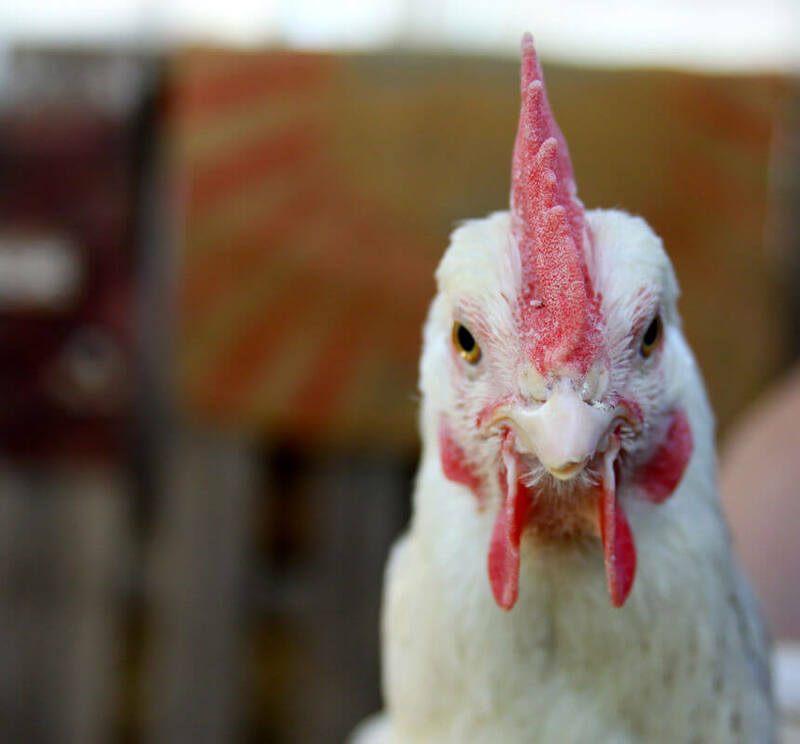 Unfortunately for the Delaware breed (and possibly also for Mr. Ellis), in the early 1950’s the white Cornish cross broiler was developed and surpassed the Delaware as the popular choice for a commercial meat bird because of its even faster growth rate. The Delaware is a hardy breed for all areas of the United States. Their smaller, single combs are not subject to frostbite in harsh winters. 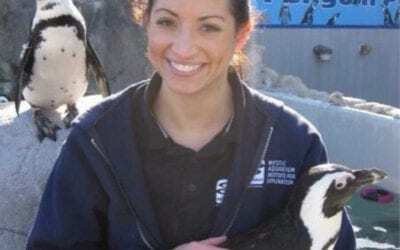 They mature quickly and begin to lay at around 20 weeks of age, laying an average of 4 eggs per week. Their white feathering means they can do well in warmer areas of the country too. The Delaware is an excellent choice for those wishing to keep an all heritage breed flock.